To Order: "Take Me With You"
Location: S. Carolina / U.S.A.
I’ve been writing since my early days in grade school. I really started taking my literary works serious in undergrad. It was there I entertained the idea of writing a book. The title of my first book is "Take Me With You". This book was published in January of 2016. "Take Me With You" is the first installment in the "Take Me With You" series. I plan on releasing more than just books under the "Take me With You" umbrella. "Take Me With You" is more than just a book. "Take Me With You" drives the reader through 365 days of real life experiences, thoughts, and decisions. 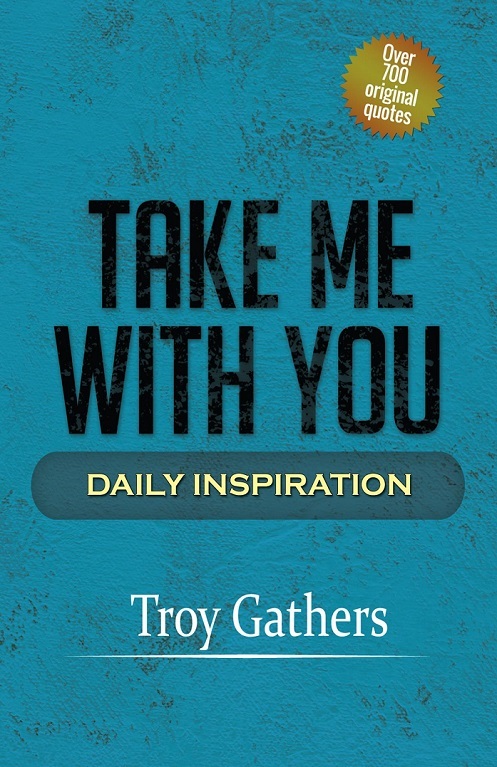 Although this book is not a road map, "Take Me With You" can serve as a tour guide. People from all walks of life can relate to the messages of "Take Me With You". Absolutely, "Take Me With You" can be purchased on Amazon.com and Kindle. Yes. There will be future projects, but the focus currently is "Take Me With You". We’ll be sure to keep you posted on all upcoming projects. Like the late great Zig Ziglar once said, “People often say that motivation doesn't last. Well, neither does bathing - that's why we recommend it daily.” "Take Me With You" offers daily motivation that will drive you to make changes. This is not a feel good go with the flow type of book. This book will cause a catalyst whether you like it or not. I believe everyone should have daily motivation and if that’s with "Take Me With You", I did my job. BLOG WRITER'S NOTE TO AUTHOR: I find your book quite interesting. Especially since you stated that it offers daily motivations. It's not that daily motivations are unusual, but your title to this book is. I will definitely check out this book a little more on amazon. Good Luck with your future writing projects, and thanks for the interview.